The term brand loyalty, the thought of being loyal to one particular brand, was once very visible in our culture. Auto manufacturers, oil producers, and other makers of products could depend on a loyal base of customers simply because of the name of the brand. Today, a larger percentage of consumers base their purchases on pricing, quality, and availability. The mentality of “remaining loyal to the brand” is all but gone. The same can be seen in church attendance. Once, a family was committed to one particular denomination, and usually one particular local church. It was common for a child to be born, raised, married, and buried in and by the same local church. That too has passed. So much so, that the understanding of commitment to a local fellowship has become unclear. When the topic of “joining the church” is discussed, many don’t understand why, and don’t see the importance of doing so. Is there evidence in the Bible to support joining a local assembly of believers? While there is not a specific verse in Scripture that instructs to do so, there are indicators that give evidence that all believers in the New Testament Church attached themselves to a local body of believers. The New Testament letters were written to individual local congregations. The letters were addressed “the church at ______.” Even the book of Revelation was sent to seven specific churches. Matthew 18:15-17 ~ Suggests a localized fellowship is the last element in resolving disputes. Just as a manufacturer or company does not fire those who are not employed by them, the church doesn’t discipline those who have no affiliation with that specific congregation. These texts establish the office of an overseer, his qualifications, responsibilities, and authority. He is described as the spiritual overseer. If God has ordained overseers, then there necessarily must be someone to oversee. Hebrews 13:17 ~ Those who are to submit to the overseer and allow him to perform his responsibilities with joy cannot be casual, or sporadic attendees. For this text to play out, there must be a formal commitment involved. This text describes a gathering of believers as the whole church. Much dispute could be made regarding who is officially given a voice in proceedings such as this text, but it clearly supports the fact that a group of individual believers became one body of believers to carry out the work of God. No, you lost me on this one – off your normal beaten track and other than the scripture verses, probably disagree with most, if not all of it – and to end with a quote that is not even real – comon’ – anything you join today wants your life, personal info, soul, money, time before you join or deceive you and then throw all this stuff at you when you join. My friend, your definition of the church is really old school and don’t think old school has any connection whatsoever to the early church. I guess I’m at a loss as to what is being rejected. I’ve read and read both the notes and the response, and can only ask for some clarification. 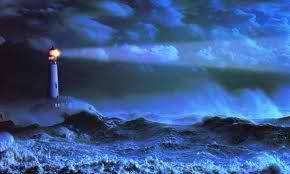 First, let me explain what these posts titled, “Lighthouse Notes” are. They are brief notes taken during services by me to primarily help me (and maybe others) retain and reflect upon what has been taught by our pastor and others. Some things come into play here, although not intentional but are possible, considering my inadequate note-taking ability and poor penmanship. Maybe I’ve mis-quoted something somewhere. Or are you disputing the establishment of local fellowships during the time of the writing of the Bible? As for the final statement, I regret adding it as I see it caused confusion. It was meant to be read with a twist of sarcasm. As in the fact that a small percentage of each congregation performs most of duties and responsibilities while the larger majority typically show up to be served, rather than to serve.